SSC (10th) with minimum 50% marks in Science subjects and Mathematics individually and 2 years ITI certificate in Electronics, Electrician, Machinist/ Turner, Fitter and Welder. The trades for which the duration of the ITI course is less than 2 years, the candidate should have at least one year relevant working experience after completion of the course. 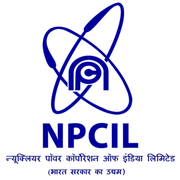 Eligible candidates may apply online at NPCIL's website (direct link is given below) from 15 Oct 2018 10:00 AM to 14 Nov 2018 05:00 PM.